The Eclipse IoT Days 2018 is one of the events of the Transfo festival organized by Frenchtech in the Alps Grenoble. The evant was streamed in live. 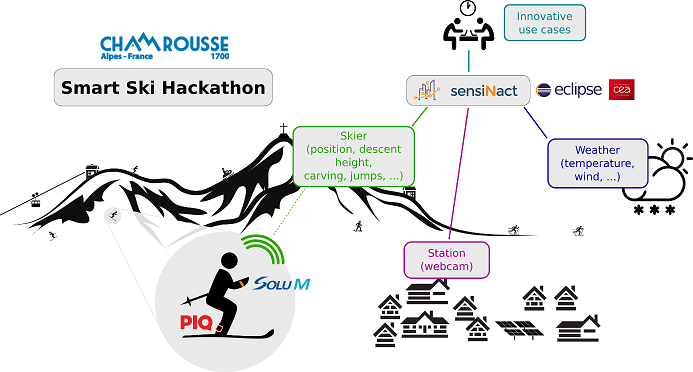 Videos recorded in 2018 are here: https://gricad.univ-grenoble-alpes.fr/multimedia/videos/eclipse-iot-day-2018. Bring your own PC/Mac/RPI !!! with extra plug and Ethernet cable (please). Eclipse Hono is cloud scale IoT connectivity platform. In this workshop you’ll learn how to deploy Eclipse Hono and use it to send and receive telemetry data from devices. We’ll start by digging into Kubernetes and OpenShift cloud platforms. Next we’ll deploy Hono and build a demo application that simulates IoT devices using Hono telemetry API. Data will be consumed and stored into time-series database and we’ll see how we can simply monitor devices using Grafana. Finally, we’ll write a simple application that uses these data, to show real-time telemetry values using Eclipse Che. During the workshop you should learn how to build end-to-end cloud-native IoT applications." Thanks to the exponential growth of the Internet, citizens became more and more exposed to personal information leakage in their digital lives. Beginning with web tracking on our computer, the advent of smartphones, our personal assistant always connected and equipped with many sensors, further reinforced the tendency. Today the craze for quantified self wearable devices, smart home appliances and more generally connected devices, enable the collection of personal information – sometimes very sensitive – in domains that were so far out of reach. However, little is known about the actual practices in terms of security, confidentiality, or data exchanges. The end-user as well as the regulator are therefore prisoner of a highly asymmetric system. This talk aims at discussing the topic of personal information leakage in IoT. In particular it will rely on preliminary work carried out in the context of the IOTics project (ANR 2016 call for proposal). Leaded by the Inria/PRIVATICS team, this project gathers four research teams working on security, privacy and digital economy, plus the CNIL, the French data protection agency. It focusses on connected devices and follows three directions: the analysis of the internal behavior in terms of personal information leakage of a set of connected devices; the analysis of the privacy policies provided (or not) by the device manufacturers; and the analysis of the underlying ecosystem. By giving transparent information of hidden behaviours, by highlighting good and bad practices, the IOTics project aims at reducing information asymmetry, at giving back control to the end-users and hopefully encouraging stakeholders to change practices. The Internet of Things (IoT) revolves around the development, mass-production and deployment of wireless embedded sensor devices. A plethora of prototyping platforms for exploring and developing those sensor nodes exists. However many of those toolkits do not scale beyond prototyping or offer an inferior development experience compared to other domains, e.g. mobile-apps or the web. To overcome the rigidity of the conventional embedded IoT device development process, we propose PAX: a new programming language designed for the embedded IoT. We designed PAX to be hardware independent and easy to adapt to other IoT and sensor driven developments. It inherits the syntax of modern general-purpose languages (e.g. Swift, Rust, TypeScript, Go), but compiles to near-production ready C code. This transports the hardware scalability (from prototyping to mass-production) to the software world. We introduce first-class primitives for sensor access and connectivity to other systems, which allows for quick exploration and integration into IoT ecologies. We support embedded algorithm through powerful primitives, e.g. lists, vectors and statistic functions. Sporting a static type system with type inference, a heapless memory model and static type/data size inference, we aim to increase developer productivity and happiness. Eclipse Hono is cloud scale IoT connectivity platform. In this workshop you’ll learn how to deploy Eclipse Hono and use it to send and receive telemetry data from devices. A new world of services emerges from the data and functions delivered by the growing variety of connected things – devices, sensors, actuators – potentially available in the Home. Several products are now giving hints of this new era. Orange and Deutsche Telekom are for instance selling smart home products in several countries of their commercial footprint. The presentation will provide a vision of an open end-to-end architecture providing standard APIs on a service platform to connect and support semantic interoperability for any application and any device. The implementation of oneM2M standard features by T-Labs and Orange Labs will be detailed, including the use of their respective industrial product artefacts. Both companies have especially aligned the APIs of their prototypes. For instance, they are showing a unique abstraction layer with oneM2M data models using the oneM2M Smart Device Template. Privacy management leverages oneM2M Access Control Policy management and a Dynamic Authorization System. 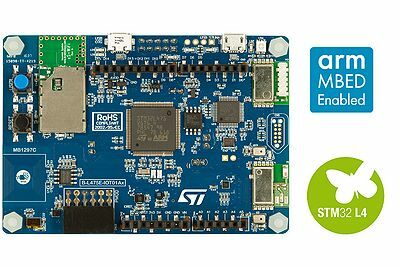 T-Labs and Orange Labs are contributing to Eclipse IoT projects, especially OM2M and SmartHome, as well as to the oneM2M standardization and other initiatives. Prix pour le vainqueur : un abonnement annuel à Chamrousse. Fin du hackathon prévu aux alentours de 18h30/19h. Transport : des bus existent entre Grenoble et Chamrousse. Se référer à la page suivante pour plus de détails : lien (à noter que les horaires du bus Transisere indiqués sur le site de Chamrousse ne sont pas à jour et commencent à partir de 11h, il est donc préférable de prendre le Transaltitude). This page was last modified 02:48, 10 November 2018 by Didier Donsez. Based on work by Didier Donsez, Benjamin CABE and Remi Druilhe and others.